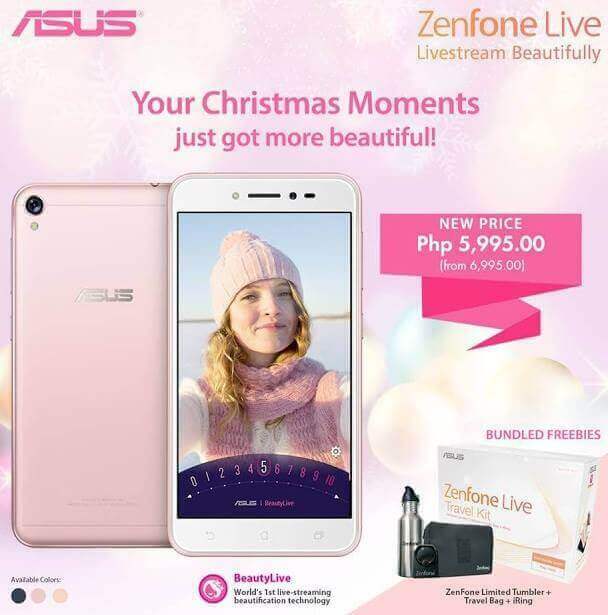 To treat consumers this coming holiday season, ASUS Philippines recently unveiled its Zenny Merry Christmas promo, cutting down the prices of some ZenFone smartphones, including the ZenFone Live. The device is equipped with a built-in BeautyLive app, which is a real-time beautification technology that works well when users go live on their social networking sites. This feature allows users to smoothen wrinkles and blemishes, adjust skin tone, and enhance your look, while going live. It boasts 13-megapixel PixelMaster rear camera with a f/2.0 aperture and five-prism lens, and 5-megapixel front shooter with soft light LED flash. Promo running until December 31, you can now get your own ZenFone Live for only Php5,995.